It’s that time again. On February 20, 2019 the CSA Z662 Technical Committee voted to accept the final resolutions to comments and close out any further changes to the new 2019 edition. The final text is now in the hands of the CSA publishing group. The new CSA Z662-19 will be published and available late June or early July of this year. As in 2015, we have been again fortunate enough to be able to arrange to offer the CPAC code qualification exams immediately following the training seminars. This will allow participants to complete both the required training and qualification on the same day. There are several significant changes to this edition including clarification on Company’s requirements for competency assessment, changes to the trenchless technology (HDD, Boring and micro-tunneling) requirements, as well as construction and operation requirement changes. While the Z662 already enjoys status of the world’s premier pipeline standard, the new edition will raise the bar for safety, environmental awareness, management and integrity requirements. The update seminar will also address the elephant in the room – What are Canadian regulators going to be focused on. So that you are not kept in suspense, the top of the list is proper competence management in accordance with the Safety and Loss Management Systems. As it turns out, there is a significant number of companies that are non-compliant with the requirements through lack of criteria or acceptance of qualifications as competence. 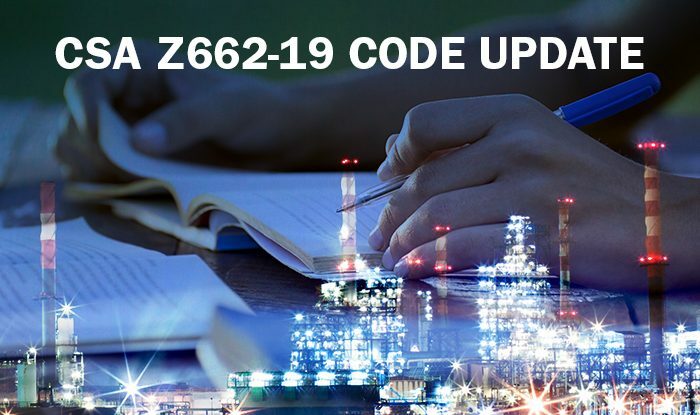 This has been a bit of a hot topic over the past 2 years and the changes to the Z662 and the update training will provide the necessary tools for companies and individuals to successfully comply with the requirements and the intent.